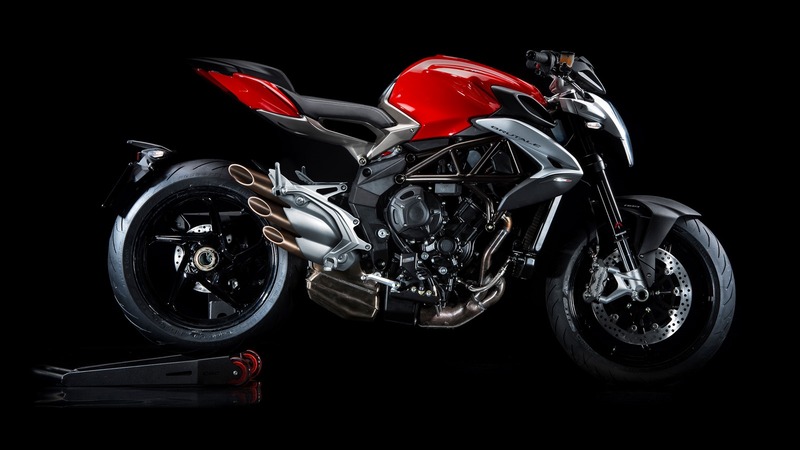 MV Agusta Brutale 800 launched at Rs. 15.59 lakh in India | IAMABIKER - Everything Motorcycle! Beautiful things do come at a price and to drive this point in further we have the MV Agusta Brutale 800 that has been just launched in India at an ex-showroom price of Rs. 15.59 lakh. For a motorcycle that slots into the sub litre capacity, this beautiful machine is a good 5 odd lakhs costlier than equivalent competition in India. The MV Agusta Brutale 800 even though is the smaller Brutale in the line up it sure is the more exotic looking. LRD DRL’s, aluminium sub-frame and the statement 3 pipe exhaust all sit on a chassis that has been tweaked for better handling and overall the bike weighs just 175 kgs dry. The 796cc triple cylinder produces 109 HP and 83 Nm of torque and has a ton of electronics. Electronically Assisted Shift, ride-by-wire, 8-level traction control and 3-level ABS come as standard. In terms of handling, the MV Agusta Brutale 800 has a new frame with a wheelbase that has been extended to 1400 mm (+20 mm), and a trail that is now 103.5 (95 mm in the previous version). The ALS steel tubing frame is incorporated with light aluminium alloy clamps in the rear area of the pivot of the single sided swing arm. The Marzocchi fork has 43 mm diameter upside aluminium forks with a travel of 125 mm: which is 1 mm more than the Sachs shock absorber, which is tethered to the single swing arm. The brake system is Brembo throughout, with a pair of 320 mm diameter front floating disks and brake calipers with four pistons, whilst at the rear a twin piston caliper acts on a 220 mm disk. Motoroyale announces 5 motorcycle brand tie up!